BECOME A MEMBER TODAY! 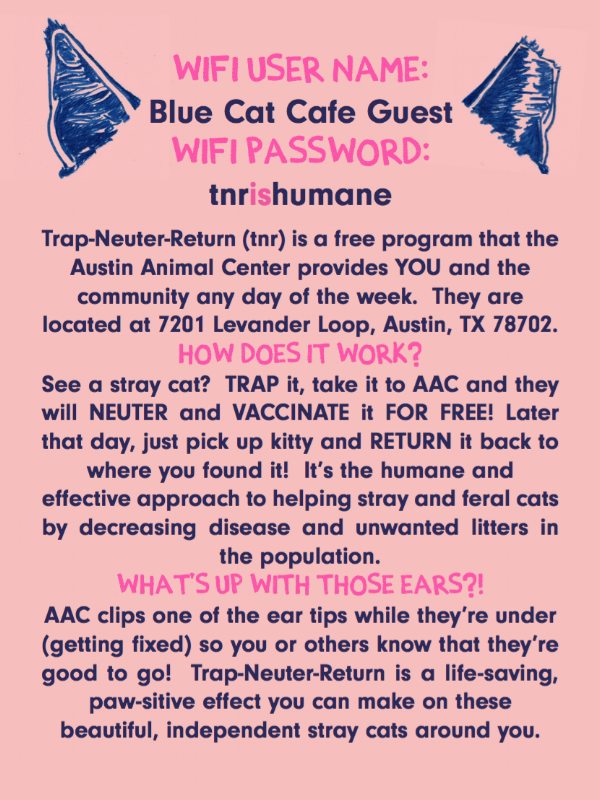 Buy a 20 punch Member Card for $20 and get today's entry and drink for FREE! Ask your server for your Members Only Card today! Share your BCC photos and win prizes! 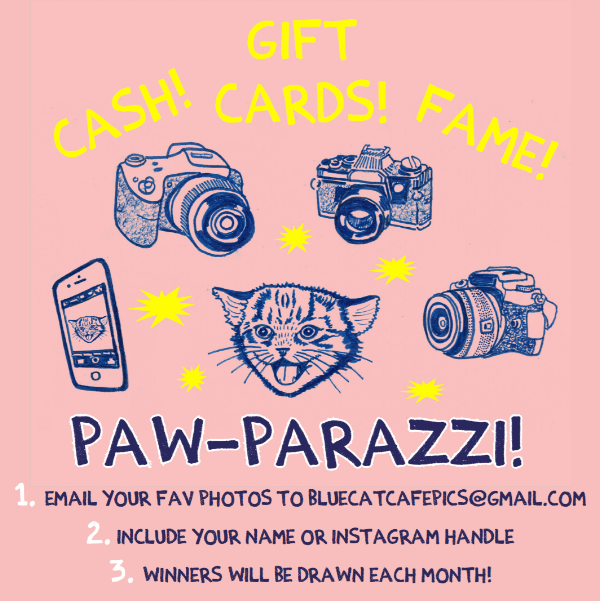 Email your favorite Blue Cat Cafe photos to us at BlueCatCafePics@gmail.com for a chance to win prizes! We will select our favorites to use on social media, give you photo credit and enter you in a raffle for awesome prizes! Names will be drawn and announces at the end of every month!